Candid, funny, occasionally a bit grumpy but always impassioned, Ian McKellen makes a stirring subject for this winning documentary. 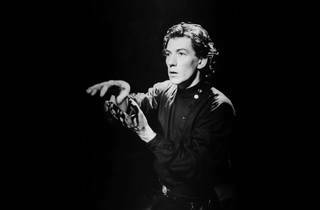 Early on in this candid, often moving doc, Ian McKellen relates how, aged nine, he went to an Ivor Novello musical with his mother and got an erection as Novello leaned over on stage. It was, he remembers, the first awakenings of a sort of sexuality, but mostly of a sense of feeling ‘other’. The recollection sets the tone for what is essentially an on-camera interview about McKellen’s life and career, interspersed with archive footage and reconstructions. It’s a straight-talking reflection on the impact the world has had on McKellen, and he on it. Director Joe Stephenson paints a beautiful portrait, but the actor’s sensitivity, storytelling and strength of character are captivating enough. His sincerity as he relates defining moments is bracing. There is healthy self-examination, and enthralling musings on his film work (he loves ‘political warrior’ Magneto while parts of ‘The Hobbit’ – ‘green screen with a vengeance’ – made him cry). His memories of coming out late in life and his Aids campaigning are inspiring. He lays bare more tragic moments too. When he was a younger theatre actor, a woman got into his dressing room and slashed her wrists in front of him, to ‘convey misery, with which she associated me’, he says. ‘You can’t really complain when you spend your life, professionally, trying to affect people’s lives, and their thoughts, and their emotions. It’s what you’ve been trying to do.’ Decades on, he is still affected by the mystical connections he makes; he says that his professional life is devoted to strangers. What a guy.